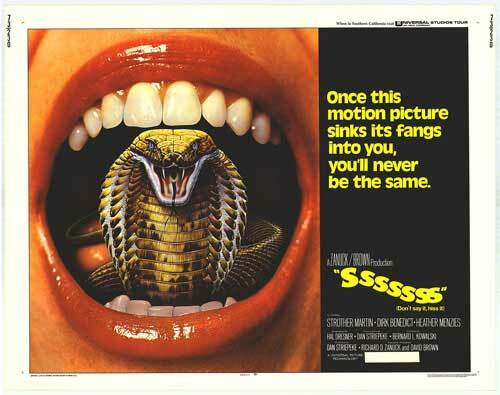 Scream Factory Debuts ‘Sssssss’ On DVD and Blu-ray in April!!! If you can’t get enough movies with slithering, cold-blooded reptiles like ‘Anaconda‘ or ‘Snakes on a Plane‘, you might want to go back in time a little bit to 1973 with ‘Sssssss‘ starring Strother Martin, Dirk Benedict, Heather Menzies-Urich under the direction of Bernard Kowalski (‘Attack of the Giant Leeches’). Scream Factory is making it easier to get your hands on this classic piece of cinematic horror, when it’s released on DVD and Blu-ray April 26, 2016. 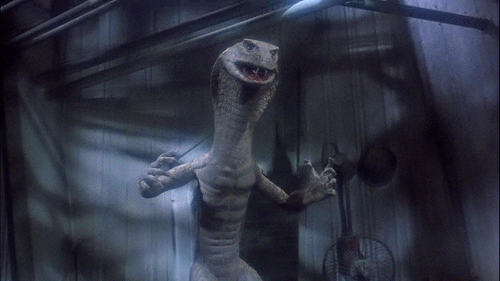 In Sssssss, Martin (‘Cool Hand Luke‘) and Benedict (‘Battlestar Galactica‘) star in an eerie tale of a respected snake expert who masks a frightening desire to transmute a man into a king cobra. Realizing that his new lab assistant, David (Benedict), is the perfect specimen, the demented doctor begins administering injections of “immunization serum.” Soon, David begins experiencing strange side effects: his skin is shedding while his body shape is changing. But before he realizes the horrible truth, the metamorphosis from human to serpent has begun. This entry was posted on Tuesday, March 15th, 2016 at 9:58 am	and is filed under Film, News. You can follow any responses to this entry through the RSS 2.0 feed. You can skip to the end and leave a response. Pinging is currently not allowed. « Scream Factory Releases ‘#Horror’ To DVD & Bluray in April!! !